Just fyi I think the last two entertainment is misspelled, but other than that nice job. I like the first one! Whoops yeah you are right, ill fix that :P Thanks! Does it have to be those colors? I personally like the setup of the first one, but I really don't like the red being so bright and so dominate. I find my eyes strain a little when I try to read the title of the company. I'd play with switching the colors or different colors, if possible. Or try desaturating the red. Also not sure about that drop shadow when the other half is flat images. I like the first one too; however, my first thought of it was that it looks a bit like a "Jesus Fish"... like people put on the back of their cars. Not that that's a bad thing, but you may or may not want a religious affiliation. It's also possible it's jumping out at be like that due to the color. Just a little word of advice : don't forget to shrink your logo down to something that would fit on your business card, or at the top of your letterhead - and then consider how legible it is. The film making icons have so much detail, that if they are reduced in size, might become jumbled, unrecognizable, little spots and so, for that reason, I pick #2 even though it's has a less literal meaning. If I went with #2, I might brighten up those colors. Perhaps something in the range of red/blue/green since that is how video and lighting colors work. I do not like the font in logos 3 and 4 at all. Sorry - It looks amateurish and the "I" looks like a "J"
I agree with the comments on the first one looking like a jesus fish, and the color combination, although the color might not look as dominating in a smaller form, you could also consider switching the two, with the infinite entertainment in red, etc. I also agree on the text used in 3 and 4 looking very amateurish, but the font you use for the rest of them works pretty well. On the second logo the image overlay/screen is distorted, which means you must not have locked the dimensions of the image you used before stretching/shrinking it. I don't know how the logo would work if it had the proper dimensions for that image, but you should give it a try if you intend to use that logo further. The film strip idea works well too, the blank ones would probably work better though, and the film strip shouldn't look like it was just placed on the image. 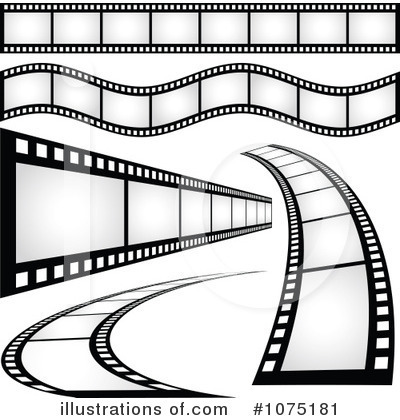 It should fit in with the infinity symbol, either by being blended with it well, such as if you did end up going with a black infinity symbol, or if you did the infinity symbol out of film strips, like created it from piercing together stocks of film strips, blank or filled. Avatar by the lovely Cattrin. Giamia says, "whats the cheapest familiar besides a rat"